produced. 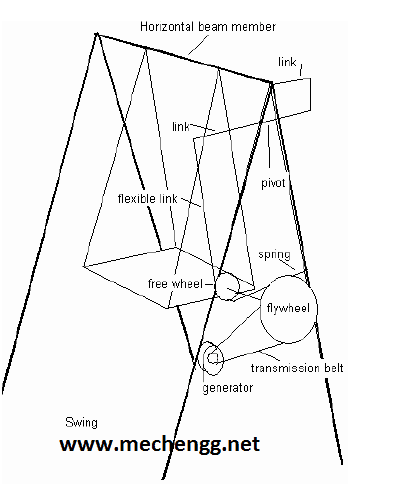 The swing generates electricity while being used only. energy that is given away in playing. The actual project work includes a scale down working model of electricity generator that is built to approximate size of 3 feet high and having base 2*1.5 feet. The project model develops 1.5 volt sufficient enough according to the model size. In actual 1:1 scale proportion the project is needed to develop 18 volt. Can be installed at places such as schools, playgrounds where wherein mass transit of children is sighted e.g. hotels, fairs etc. I NEED SOME MORE INFORMATION ABOUT THIS HOW CAN I GET THAT? « Cocubes Sample Question Paper for Mechanical Engineering.